Going through WordPress core source code I discovered that these capabilities are not used directly. The only place where you can find capability name string like ‘delete_others_posts’ is wp-admin/includes/schema.php file, where these capabilities set was defined for WordPress version 2.1. * Create and modify WordPress roles for WordPress 2.1. Thus, according to the code above, starting from WordPress version 2.1 ‘administrator’ and ‘editor’ roles can delete all WordPress posts and pages, despite its status and author.Author can delete own posts only including published posts. Contributor can delete own unpublished posts only. Does the fact, that these capabilities are not called by WordPress directly, mean, that they just added to WordPress capabilities list, but they are not in use yet? No, they are in use. WordPress uses them indirectly, via sophisticated mechanism of mapping so-called meta capabilities, like ‘edit_post’, ‘edit_page’ to the primitive capabilities, like deletion capabilities list mentioned above. Is it interesting for you? Let’s see together, how does WordPress realize that. 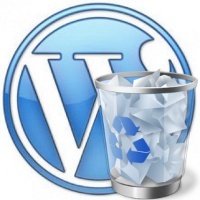 As you can see, WordPress checks if user has ‘delete_post’ capability. Let’s look to the WordPress roles. No one role contains ‘delete_post’ capability. It simply doesn’t exist, even for ‘Administrator’ role. What’s the puzzle WordPress authors prepared for us? Let’s go further. Looking at the call stack I see that WordPress calls map_meta_cap() function from capabilities.php file via user object method has_cap(). * Whether user has capability or role name. * check for capabilities against a specific object, such as a post or user. * @param string|int $cap Capability or role name to search. * @return bool True, if user has capability; false, if user does not have capability. * Map meta capabilities to primitive capabilities. * 'delete_page', 'edit_post', 'edit_page', 'read_post', or 'read_page'. * @return array Actual capabilities for meta capability. // Prior to 3.1 we would re-call map_meta_cap here. // If no author set yet, default to current user for cap checks. Meta capabilities delete_post and delete_page are processed here together. Here WordPress checks if current user is the author of this post and according to post status expand one meta capability, like ‘delete_post’ to the whole set of primitive capabilities to check, like ‘delete_others_posts’, ‘delete_published_posts’. How those capabilities are defined, depends from the post type. For ‘post’ post type they are ‘delete_others_posts’, ‘delete_published_posts’, for ‘pages’ post type they are ‘delete_others_pages’, ‘delete_published_pages’, etc. * 'capabilities' argument is not supplied. * registration, capability_type will always be a string of the singular value. *   directly to users or roles. * - edit_posts - Controls whether objects of this post type can be edited. * - publish_posts - Controls publishing objects of this post type. * - read_private_posts - Controls whether private objects can be read. * These four primitive capabilities are checked in core in various locations. * that must then be checked against the user or role, depending on the context. * - read - Controls whether objects of this post type can be read. * - delete_posts - Controls whether objects of this post type can be deleted. * - delete_private_posts - Controls whether private objects can be deleted. * - delete_published_posts - Controls whether published objects can be deleted. * - edit_private_posts - Controls whether private objects can be edited. * - edit_published_posts - Controls whether published objects can be edited. * argument set to true (default is false). Finally WordPress checks, if user has all primitive capabilities added by map_meta_cap() function and decides to permit or prohibit requested operation. This post is built on the base of WordPress 3.5 Beta 1 core source code. This entry was posted on Sunday, February 12th, 2012 at 11:09	and is filed under WordPress, WordPress Capabilities. You can follow any responses to this entry through the RSS 2.0 feed. You can skip to the end and leave a response. Pinging is currently not allowed.